Some days, I want to be like her, and other days I am grateful to not be her. All of the hand-crafted baby things, the INCREDIBLE birthday party ideas, etc. God bless that mom. She is amazing in her own way and I am certain her kids are grateful to have her. But not everyone can be that mom. Some moms, who are also great moms, have ZERO desire to be that mom. You have to do you. If this isn’t you, and for most, it’s not, you find yourself wondering how to make birthdays special at home. It can be really hard as a parent when your kids are always comparing everything you do to what other moms are doing. And birthday parties, I feel like they’re at the top of the list. Everyone wants to feel special on their birthday, especially our kids. 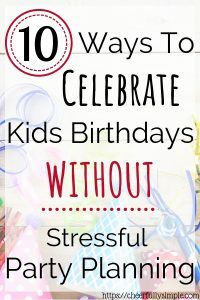 So, let’s share some helpful ideas of how to make birthdays memorable at home without the birthday party. I may not be a child any longer, but we still have birthday dinners in my family. The person celebrating the birthday gets to either pick a restaurant where they want to eat, or a special meal made at home. Birthday gifts and birthday cards are shared, and of course, no birthday would be complete without a birthday cake. But, the thing that has always made birthday dinners special is those who are there with me. As I get older, I realize this more often. The people are the gift. And, although our kids don’t get it now, hopefully, one day, they’ll realize the people have been the best gift all along. Sorry, getting a little sentimental here. Back to the idea of a special birthday dinner for YOUR kids! No matter their age, let your kids pick the menu. It is one meal, really, a little junk food isn’t going to hurt anyone. Let them help you prepare the meal. Maybe invite over some of your family and closest friends. Enjoy the time celebrating your child and making them feel special as you celebrate their birthday. Cooking a special birthday dinner at home is a great option if money is tight. We’ve been there and understand what that can feel like. But one thing I’ve learned as a parent in tough situations is that if you can manage to put on your best face, your kids won’t know any different. So, let them pick a meal or restaurant of their choosing and make it special! Crepe paper may seem like a foreign term to you, but if I call it streamers, you likely know what I’m talking about. Streamers usually mean something exciting is happening. Imagine how excited your kiddo will be when they have to break out of their bedroom because the door frame is COVERED in streamers! Talk about a fun way to start the day. And the best part is how simple it is. All you need is some tape and a couple of rolls of different colored streamers. If you’re feeling really crazy, you could hang some streamers throughout the house and even decorate some of the walls. *One thing to keep in mind with crepe paper is that if it gets wet, the dye from the streamers could potentially stain fabric. Picture yourself as a 5-year-old. You go to bed knowing that when you wake up in the morning, it’s your BIRTHDAY! Then, you wake up and your ENTIRE floor is covered in balloons!!! My current inner 5-year-old is jealous someone didn’t do this for me when I was a kid. Seriously though, a bag of balloons only costs a couple of dollars. Buy a couple bags, spend your evening exerting all the oxygen from your body into the balloons, and you’ll end up with one really excited kiddo! There are so many ways to decorate your house to make a memorable birthday celebration without the party. As I mentioned before, balloons and crepe paper are a great place to start. But, you can also just use plain white paper and make some really neat decorations. And no, you don’t need to know how to do origami. Did you know that if you cut a circular shape out of paper, and then start cutting in a continuous circular motion that you’ll end up creating a really neat decoration you can hang from the ceiling? If you have pieces of colorful construction paper, you can create all kinds of cool things to have from the ceiling. 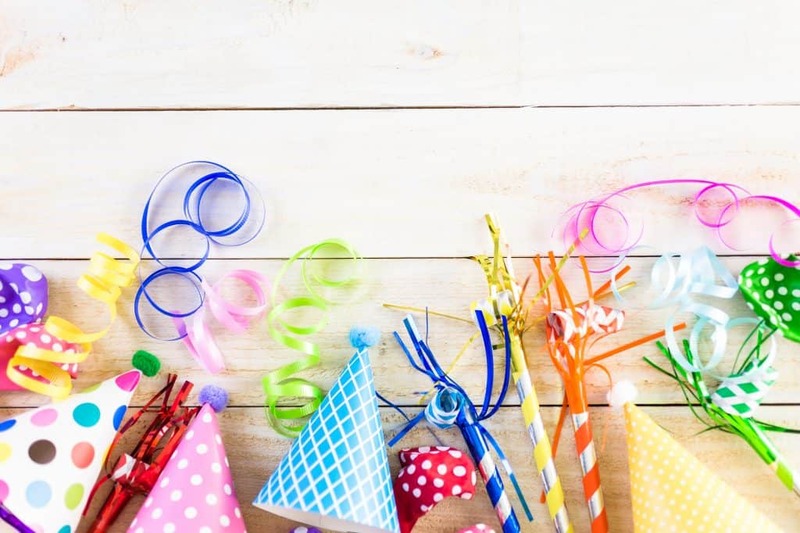 Now, if you have a little of money to spend, but you just want to skip the birthday party planning, you can go to your local party store and buy all kinds of birthday party decorations. For one of my kid’s birthdays recently, we did just this. They have everything! Mickey Mouse, Princesses, Paw Patrol, Monster High, Barbie, you name it, I feel like they had it. We decorated our dining room for the special birthday dinner for about $25. That includes balloons as well! For most kids, anything that they know is done specially for them is going to make them feel special. Struggling with your toddler? Here’s how you can be a better mom to your toddler! Not every kid will get to spend their birthday at home. Some kids “get” to go to school on their birthday. If your kids are still really young, their classroom teacher may do something special for their birthday. They may get to be line leader for the day or even wear a special birthday hat. One thing you can do for your child on their birthday is to write a special birthday note in their lunch box. Tell them how special they are, and how much you love celebrating them on their birthday. Do something extra special and put a special treat in there too! I was blessed to grow up with my family close by. So, more often than not, they brought by birthday cards to be. But, one thing that I ALWAYS loved as a kid was getting something in the mail. It made me feel important! Imagine how special your kiddo would feel getting birthday cards in the mail with their name on them. Every birthday card was super special to me. I would hold onto them for years. I have started collecting our kids’ birthday cards so that if they would want to see them, they can. They even have birthday cards that somehow turned into toys. Go figure! 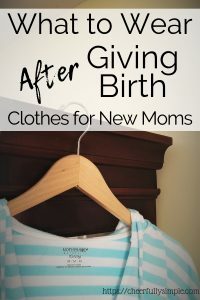 It’s a great way to answer the questions of how to make birthdays special at home without much work or money spent on your part. If you find nothing else from this list that means anything to you, pay attention to this one. Take the time to write your kids a letter every year on their birthday. Talk about what you did that year, tell them how you’ve seen them change and how your love for them has grown. Share special moments that were special to you. When your kids are little, they may not think much of it. But this is one of the timeless gifts you can give to your children that they will likely hold onto and cherish forever. If you’ve ever lost a parent who you loved dearly, you know how special something like this would be. Do this one thing for your kids every single birthday. And, if money is tight right now, and you find yourself wondering how to make a birthday special with no money, this is it! Is there something, in particular, your kid really likes? Maybe there is a movie you’ve watched 100 times. Set up a special movie night with popcorn, special treats, and a special showing of that movie. Maybe your kid likes Legos. You could buy a new Lego set and have a special time together building something. If your kids like Nerf guns, buy a couple of new Nerf guns and set up an area in your house to have a Nerf War. Maybe your kid likes to cook. Find a new recipe that you know they’ll love and cook together. Find something that means something to your kid and create a special time doing something together with them. That time if one of the greatest gifts you can give them. And, with many of these ideas, you are actually giving them a tangible gift, but you get to enjoy the gift of doing something together as well. If you need some AWESOME indoor activities you can do with your kids, here are 40 of them! Call me crazy, but I had no clue how fun this would be with kids until recently. My kids were given a bin of photo props. Let me just say, I didn’t have a clue what we would do with them and even considered throwing them away. I have some super silly and hilarious pictures of me with my kids playing with these props. I would have to believe that if you go to the dollar store you can find some even. All they are essentially is a thick piece of paper cut out into shapes like glasses and mustaches and put on a plastic straw. Don’t try to become the “Pinterest Mom”. Look around your house and find some really great hiding spots that you can write clues for. Then, hide little treats, or maybe even small gifts in those places. Take each clue you write and put it in an envelope, but make sure you have one clue leading to the next. At the end of the scavenger hunt, you could put their birthday gift. This doesn’t have to be anything complicated. The fun is in the adventure. If you are super creative and want to take it to the next level, you could create a fun scavenger hunt day. Maybe you go to the toy store and let them pick one toy in a certain price range. Then you take them to their favorite place for a meal. Next, you go visit someone they like hanging out with. Birthdays Can Be Fun Without the Party! 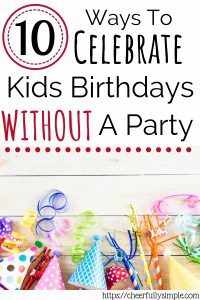 Just because everyone else is having birthday parties for their kid doesn’t mean you have to. Not everyone likes to have birthday parties. I feel like the hype of birthdays has gotten out of control even a bit. Every kid goes home with a goodie bag that is almost as good as the gift they brought. I don’t think I will ever understand this one. If you’re wondering what to do instead of having a birthday party, there are PLENTY of other ways you can make birthdays special at home. 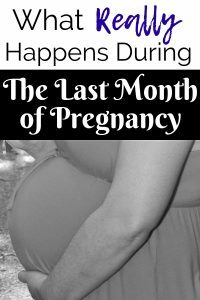 You are an amazing mom, even if you aren’t the Pinterest Mom who does amazing things. Not everyone is her. That’s totally ok. Figure out how to make birthdays special at home for your kids. You know that they like. You are their mom and you know them best! Oh, and if you come up with another super awesome way to celebrate your kids’ birthdays at home, PLEASE SHARE!! I love this post!! I agree that you can make birthdays special without the fancy DIY party. My mom did this when we were little and I loved the special lunch notes she would write, the birthday dinner she would make, and the special decorations she would put up in the house. This year, for my daughters 2nd birthday, my husband works as a swim coach at night so he wasn’t able to do a dinner with us. So instead, we did a breakfast and I picked up fun donuts 🙂 We put a candle in the donut and sung happy birthday to her. She enjoyed it and so did my husband! I love your idea of writing a letter to your child every year on their birthday. That’s a fun and special activity to do as a parent and will be something he/she can cherish in the future! There are so many outside-the-box ways to celebrate birthdays. This year for my birthday, my husband made blueberry muffins for breakfast and we did candles and sang happy birthday. A little creative thought goes a long way. All of these ideas are so good without being overly complicated. Thanks for sharing!! I love these ideas! My favorites are the streamers and balloons! I will definitely be doing that for Paxton as he gets older. I’m thinking by 2 he might have some appreciation for those things. I also love the letter idea. We just celebrated his first birthday last month, so I might go back and write one for his first birthday to save for him. That is one gift that they will be able to have with them forever. It isn’t a toy that they’ll one day not need. I have to believe that every kid can always use a solid piece of advice from their parent, or even just memories of their childhood to look back on as they get older. Hi my name is Trish, and I am a pinterest mom! That being said, I also love to create special moments at home for my birthday childld! We have special traditions that we do each year and mean so much to us all! I LOVE Pinterest Moms, and sometimes I wish I was able to be that, but that creativeness just isn’t in me! You all do amazing things. Birthday traditions are so special to begin creating with our kids from a young age! 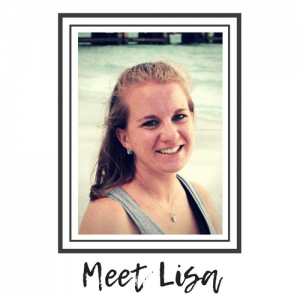 These are all great tips Lisa! One of my friends said she’s decorated her kid’s rooms every year for their birthday and I love it! 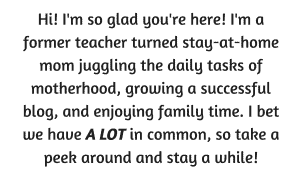 I actually think if you’re doing all that, you’re just as dedicated as any Pinterest mom. I can’t seem to get any of it together but assuming I’ll need to step up my game this year since my little lady will be three and is REALLY into birthdays. I’m definitely pinning this post to come back to for her birthday this year! I like finding simple things to do at home that are going to mean a lot to my kids. Creating a simple birthday is my thing! Small, but memorable.